What Discord can do to replace G+ services. Organized as a collection of communities. Works well for informal community discussions. Discord is already in use among opensimmers and is considered useful. You may find communities of interest on discord if you look. You join a community by getting an invitation link from the community. Working groups collaborating on a project. Reporters and publicists focussing on a particular topic. Close-knit community needing support for informal chat. But I won't wait a week to post them. I will update the recent page on the day I find them. 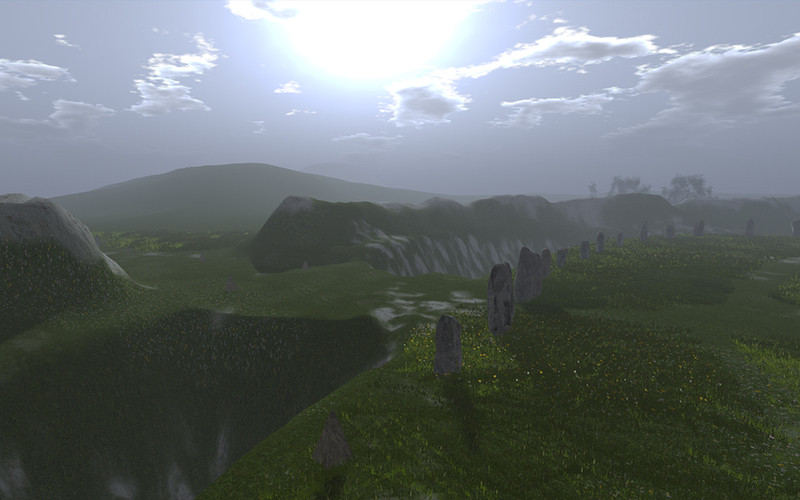 3DWebWorldz, a browser-based virtual world (MUVE), is developed enough to show its potential. It now seeks support to increase its capabilities and offerings. Over thirty regions available for public access. About 10 art galleries for art history and education. People can reach these places from any modern device having a browser. Mobility limitations are left behind. People can talk with each other about the place or anything else. The place can offer the support needed for learning and entertainment. Browsers can bring together people of common interests over great distances. Browser places can offer art, education, music, adventures, and community. 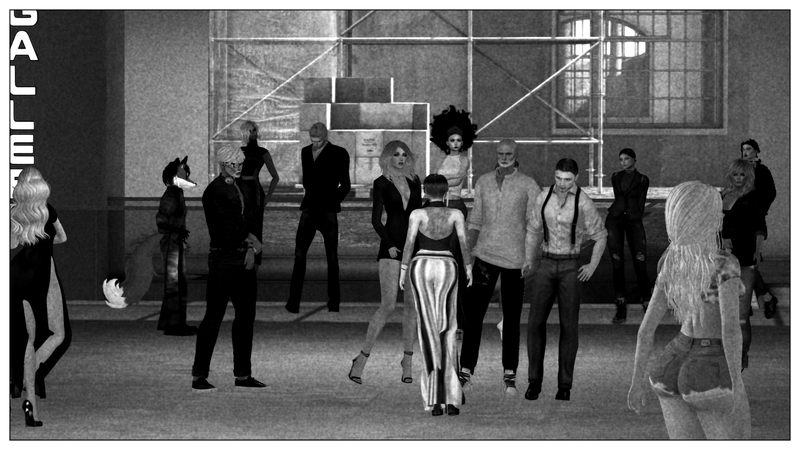 Comedy roast videos to celebrate the aging of Thinkerer Melville (Selby Evans everywhere outside of second life). Video captured, edited, and posted by old Selby Evans, who is much too old to be doing this sort of thing. PS. Selby Evans is known as Thinkerer Melville in Second Life. Collaborative blogs could replace some of the functions of G+ and do a better job of it. Has one owner and multiple contributors. 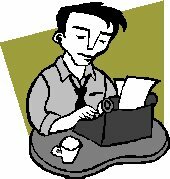 Contributors may act as authors, editors, and promoters. Editors bring in guest articles from their contacts. Promoters repost articles on other social media outlets. Can carry post buttons for Facebook, and other social media. Keeps the focus on a topic of interest. You can let anyone leave comments on an article. More frequent publication gets more views. Multiple contributors promote more widely. Multiple contributors give a better representation of the community. Multiple contributors give wider coverage. Did you ever see a mecha dancing? We can have any avatar we can imagine. And my avatar can dance even if I can't. And I can turn on daylight to get pictures. Pictures tell the story of the 11th birthday celebration of Nonprofit Commons. A collection of news items and links relevant to this blog. This is experimental and, for now, will be posted on Thursdays (so as not to interfere with the existing schedule). Some of the links are often wanted and will be recurrent. Others may be retained a few weeks. New items will be added weekly. 2018 BIZ: Thales teams with Infinite Metaverse Alliance (IMA) to work on next generation collaborative and training tools. to work on next generation collaborative and training tools. Virtual Reality, increasing connectivity, and connection speed are enabling people to work better together. 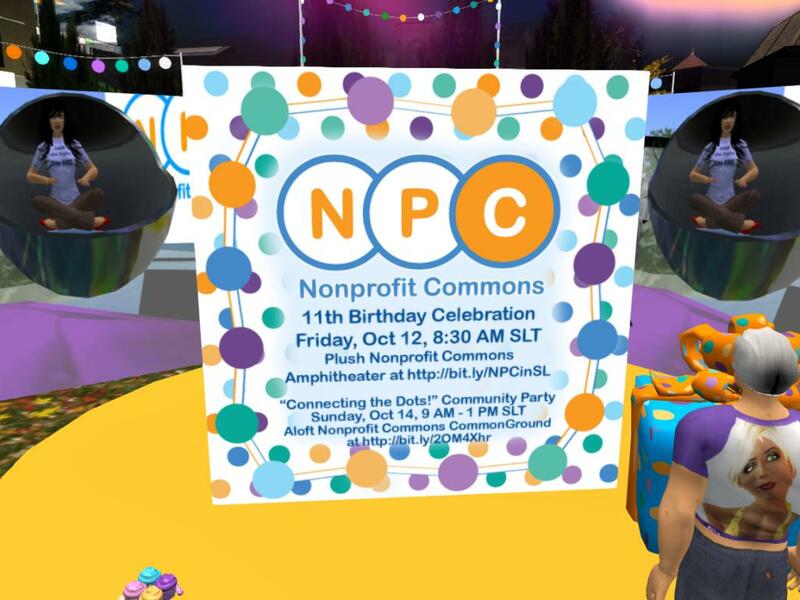 We are on the verge of a next generation of collaborative and training tools where virtual reality will drive working together to be no longer time and place dependent or restricted by visual boundaries. 2918 WW: TECH: 3D scanning and animation with a smartphone. Can we bring that avatar into a web-world? 3D scanning and animation with a smartphone. Can we bring that avatar into a web-world? Video demonstration of a smartphone that can scan a 3D object and render it as an animated digital 3D object. 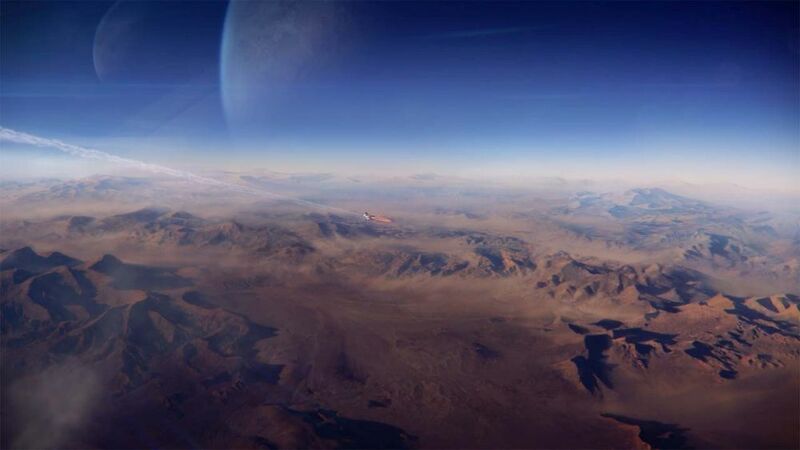 How hard will it be to bring that into a web-world or a virtual world? Bring yourself into a web-world: Get an avatar that looks like you. Online MUVE: A MUVE accessed over the internet. Community: Group of people with common interests and shared goals. Communities usually have a place where they get together. As social media has developed on the web, that place can be online. 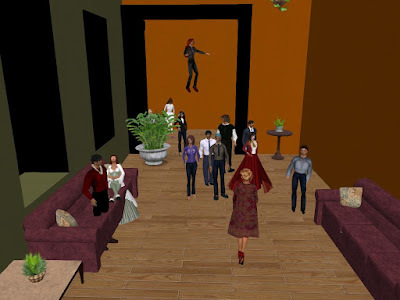 A themed online MUVE can offer a place where people get together. They get together, represented by human-like figures. In a simulated place representing their common interests (the theme). They talk about their common interests, share information and make plans. Educational systems: Online education expands capacity. Companies: Meet customers where they live. Meet workers where they work. Service organizations: Confer with clients while working from home. 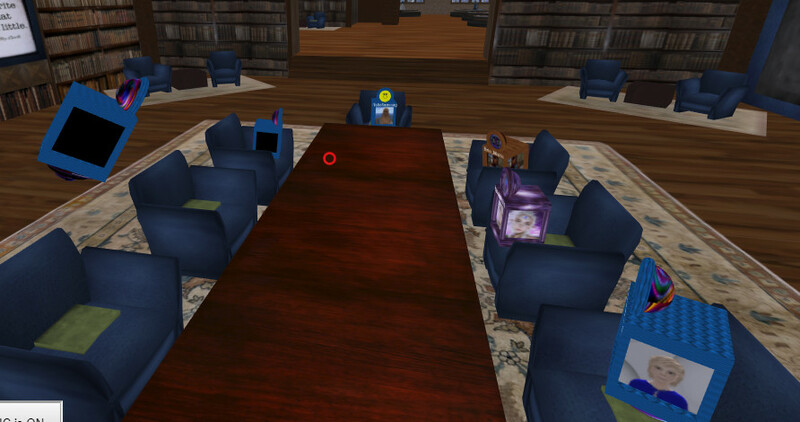 VWBPE is a virtual conference conducted in a MUVE. Participants attend the conference in a virtual reality setting that includes conference rooms, theatres, exposition halls, meeting spaces, and other venues similar to a brick and mortar conference. The conference is free to attend. The cost of the conference is covered by sponsorship and donations. 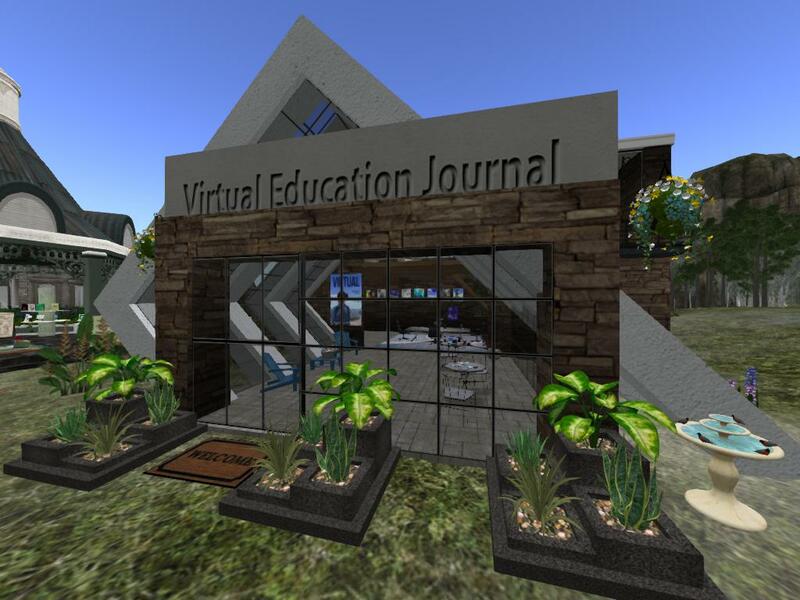 The Virtual Education Journal (VEJ) publishes articles from educators K-16 in a variety of online and virtual environments. 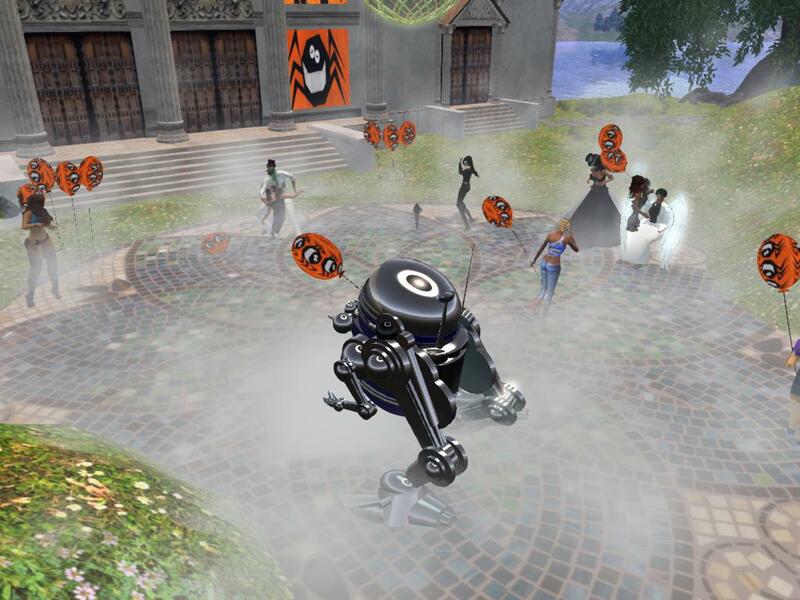 It serves as a resource of best practices being used across the metaverse. 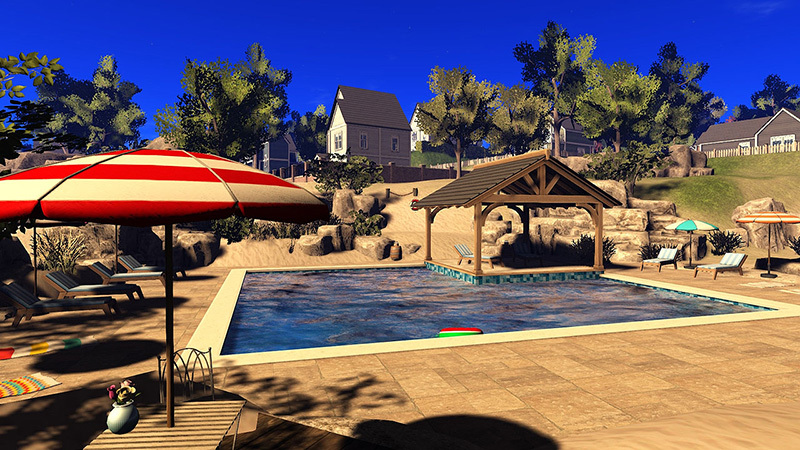 The call for proposals for VWBPE 2019 is now open. The deadline for Presentation proposals is 14 January 2019. Proposals for Exhibits and Immersive Experiences are open now as well. 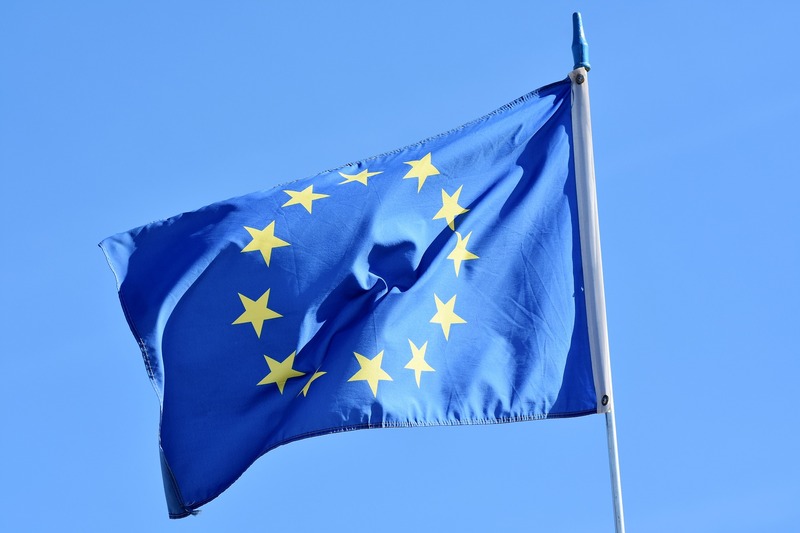 The deadline for these is 11 February 2019. 2018 LIB: EDU: Cybersecurity. Why use a MUVE (virtual world) to teach security? (virtual world) to teach security? Internet Security Specialist, Erik Moore, demonstrates training for cybersecurity in a MulitiUser Virtual Environment (virtual world) with demonstration threats in a simulated data center. Any place that needs security is reluctant to admit a group of strangers. A virtual world is available for practice all the time. Students with mobility limitations are not impeded. An unsupervised group can enter for a practice security review at any time. Risky conditions that would be cleared from a data center can stay in a virtual world. Training places can be scripted to give hints or feedback. Multiple training sites can be created as needed. All sites are local (in the computer) for the learners. Test places can be secured from prior access and produced as needed. Test performance can produce recorded results. 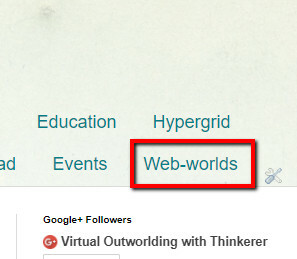 With the end of G+, we must look for alternative hosts for our communities. We are starting an alternative place as a web-world group on Facebook. For a while, we will post in both places, but we recommend shifting main use to Facebook. Hypergrid communication quest, What we can get from MeWe?